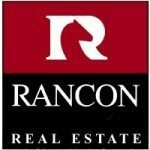 Rancon Real Estate is a powerful, independent real estate company located in Southwest Riverside County. They earned the respect of being a quality organization with more sales of real estate property than any other company in our marketplace over the past 40 years. Founded in 1971 by our CEO Dan Stephenson, Rancon Real Estate has grown into a full service organization specializing in marketing Residential, Land, and Commercial properties along with providing escrow and title services to our clients. We believe that our community is one of the finest in southern California. Rancon’s commitment to personalized service, continuing innovation, and overall real estate expertise makes Rancon the success we are today. skills in all aspects of brokerage. As real estate experts we can provide you with helpful insights about the area, and can show you why the Temecula Valley is truly something special. Rancon Real Estate is committed to our customers. Our unwavering dedication to serve for the past 40 years has allowed us to assist thousands of satisfied customers. Trust is hard to come by in today’s fierce and competitive real estate market. We are here to provide you with the professionalism and integrity needed to ensure that you feel secure in making important real estate decisions. Rancon Real Estate has a management team with over 50 years of experience. For that reason their expertise and skill in all aspects of brokerage insures that Rancon agents and customers receive the benefit of the finest foundation of real estate experience. We continually strive to improve, educate, and conduct business with ethical conduct being the forefront of our company’s philosophy. Rancon is aggressive and diversified in this arena spending much time and research devising effective marketing for our properties. We understand that the world wide web has become an integral part of everday life. Both buyers and sellers are searching the internet for information and properties, and Rancon is doing our part to deliver. We have an aggressive internet campaign to market our listings and an informative and consumer friendly website. Futhermore, Rancon has introduced the use of video to create a marketing advantage for our clients. As a result, our direct mail campaign announcing to homeowners Just Listed, Just Sold, and Open Houses is a marketing technique that we continue to have great success promoting. For more than 40 years Rancon has been an avid supporter of the communites we serve. Above all, giving back to the community through sponsorships and donations for recreational youth sports, scholarships, community needs, and our crowning achievement, The Temecula Valley Playhouse, gives us great satisfaction. We take great pride in supporting our community in which we live. Providing quality, personalized service by an experienced sales team that cares about you. We welcome the opportunity to serve our new and past clientele. Combining years of ourstanding performance and an unwavering dedication to ensuring customer satisfaction.